President Emmanuel Macron of France is to totally scrap fuel tax rises that sparked three weeks of unrest and the worst riots seen in Paris for half a century, as the Elysée last night warned that “several thousand” hardened protesters were bent on descending on Paris on Saturday “to smash and kill”. However, in a decision that risked further fuelling the “yellow vest” revolt, Mr Macron ruled out reversing a landmark decision to scrap a wealth tax that has seen him dubbed by critics “the president of the rich”. 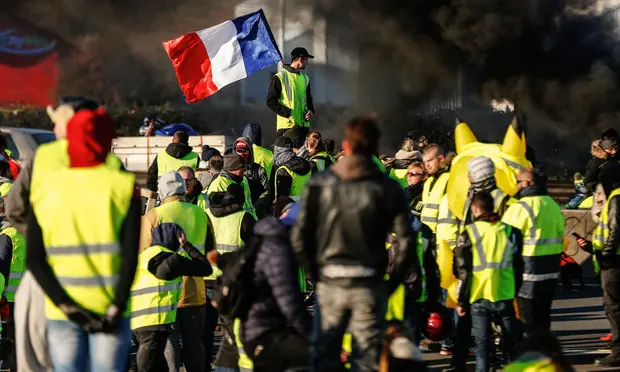 In a sign of rising panic at the pinnacle of the French state, the presidency issued a hasty evening announcement that the government would scrap a “green tax” on diesel and petrol due to be imposed in the 2019 budget.